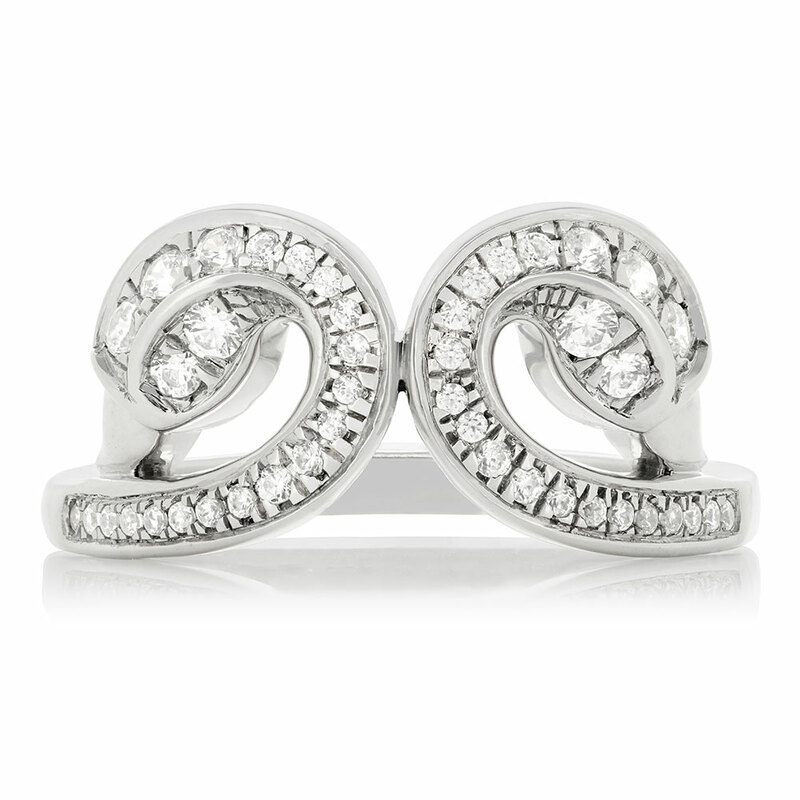 These Bridal Pieces are inspired by the loyalty and forever love that Swans represents. Swans like true love only have one soulmate. This ring is available in 14K White Gold. The accent stones have a total carat weight of 0.33 carats.